Spring brings longer days, better weather, and, of course, great deals for bargain travelers. Sandwiched between the bitter cold of winter and the high prices of summer, the season offers good value and an appealing variety of destinations to the budget-conscious. I’ve monitored trends, industry news, and sale patterns to point you in the direction of places that offer the best bargains for the coming season. Below you’ll find examples of deals presently available for spring trips. Like all offers, these are sure to expire; however, a little research on your part can yield similar results when you’re ready to book. Beach, jungle, cities: Costa Rica’s got a little bit of everything, including service from U.S. low-cost airlines. This spring, you can also find new air-and-hotel packages from a well-known provider. Last spring, Spirit began daily service between Fort Lauderdale and San Jose, Costa Rica. And just recently, Frontier followed suit with five weekly nonstop flights between Denver and Costa Rica. American just ended a Central America sale with spring fares such as $408 from San Francisco to Costa Rica, so it’s worth keeping an eye out for similar sales from both the legacy and the low-cost airlines in the coming months. Prices will most likely drop further as spring progresses. If you’ve ever searched for an airfare-and-hotel package to Hawaii or Mexico, you may already be familiar with Pleasant Holidays. 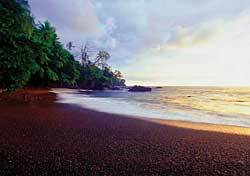 The company has just added Costa Rica to its roster of tropical destinations, and currently has offers such as airfare from Los Angeles and three nights at the all-inclusive Barcelo Tambor Beach for $551. Other providers, including Expedia, go-today.com, Orbitz, and Travelocity, offer air-and-hotel packages as well, so it’s worth shopping around before you buy. For information on the latest sales and tips on travel, visit the SmarterTravel.com Costa Rica Travel Guide.